The Croydon leg of the Overground Uncovered photo scavenger hunt is being rerun by London Transport Museum on Saturday 5th February. Not sure what it's all about? Have a look at the photos from the Hackney hunt back in October. It's a race against time to unlock cryptic clues leading you to photo opportunities with transport treasures and local gems. Prizes will go to the first team home (with the most correct answers) and bonus goodies will be awarded for best pictures uploaded to Flickr. To participate, email your Flickr ID to communities@ltmuseum.co.uk and go equipped with an Oyster card. 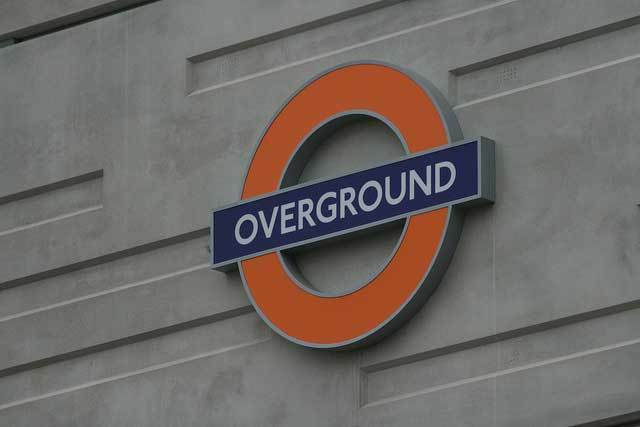 Overground roundel by kev t from the October scavenger hunt in the east end. And if you capture some striking images of Croydon en-route, please do put them in the Londonist Flickrpool.